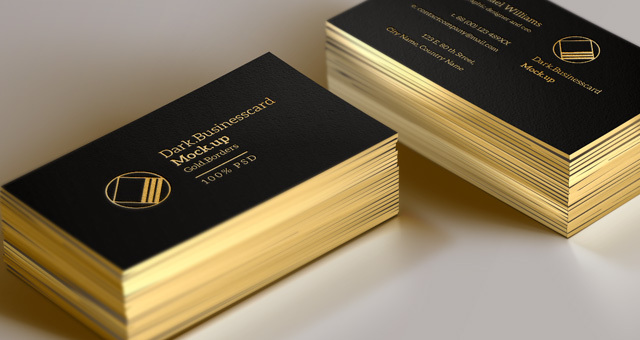 A great psd business card mock-up template to present business card designs with colored borders. 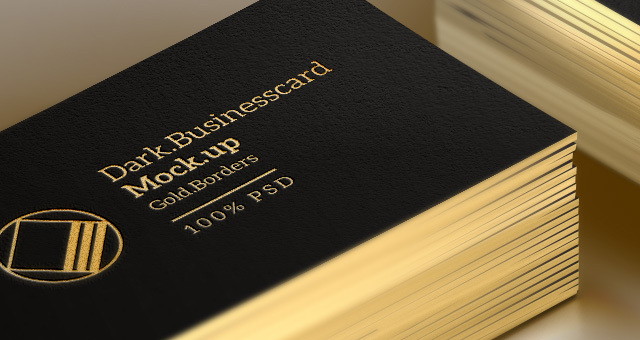 We included a golden border style that can be edited with colors or other finish. 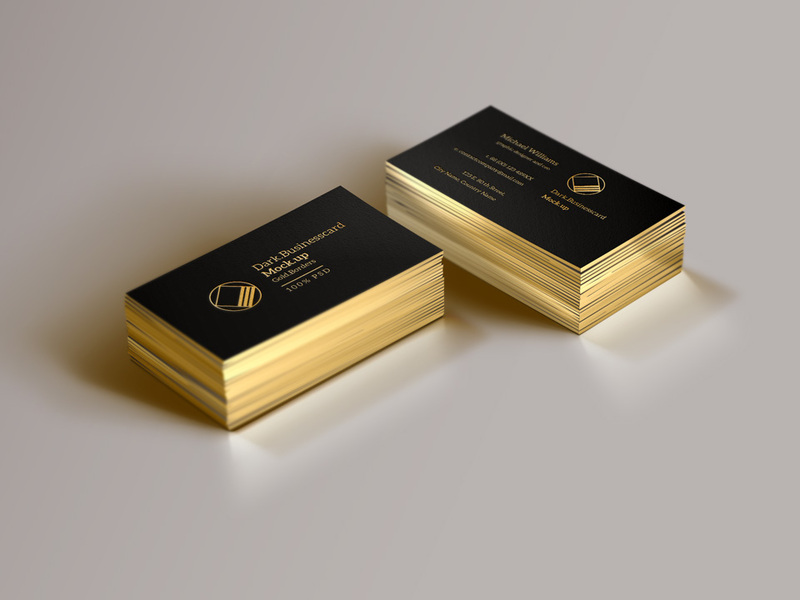 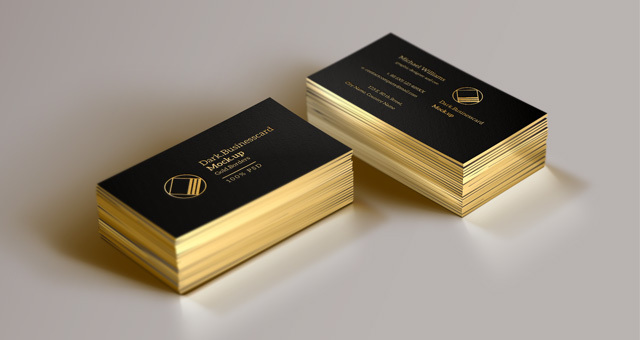 The business card is a vector scaled design that uses smart layers.